BEAM Alliance central vacuum systems have been intuitively designed with the consumer in mind, and are our most powerful central vacuum systems with 30% more cleaning performance than BEAM Serenity. The exclusive BEAM Alliance Interface allows the power unit and hose handle to communicate with each other, giving you more control of your central vacuum system. This award-winning central vacuum system offers powerful yet quiet operation, proven allergen reduction and an optional electronic user interface (on the IQS line) that helps simplify cleaning your home. Top-of-the-line power unit with LCD display for real-time system monitoring and cleaning power for up to 12,000 square feet. At 640 air watts, it offers high-performance cleaning for your home. Supported by more than 50 years of product design and development experience and BEAM’s exclusive electronic control system, the BEAM Classic Series represents the core of the power unit line. Beam 225C Classic: At 550 air watts, this power unit delivers excellent performance and value and easily handles floor plans up to 3,500 square feet. This quiet powerhead offers 3 height levels and a quick-release wand for touch-up cleaning. 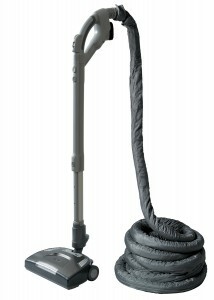 A 30-ft hose, hose sock, BEAM Premier Tools, @hand Powerbrush and Active Pickup Brush are included.